Another acquisition from eBay – BBC Basic (Z80) manual. 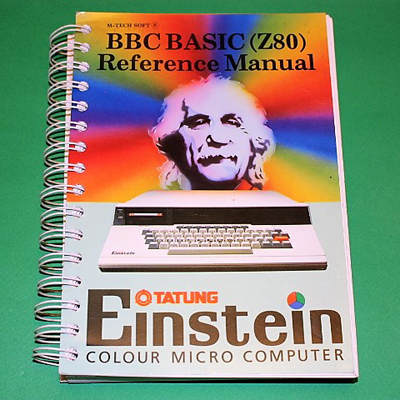 I think this is the last of the large ‘Ring Bound’ manuals that was available for the Einstein, but it certainly isn’t the last book available. There are still a large number more lurking on the net!